As a resource-based country (with Ontario as its manufacturing hub) we must rethink how we get our goods to market. Industry is waking up to the possibilities of future-forward energy sources over industrial-age fuels like coal and diesel. That’s why Canadian National Railway (CN) is re-engineering two 3000-horsepower locomotives to run on liquefied natural gas. The route is a difficult, rolling terrain with significantly high-tonnage runs between Edmonton and Fort McMurray – a worthy test of the fuel’s viability. For CN, the results of this trial are of great interest. It means a reduction in greenhouse gas; including 30 per cent lower carbon dioxide and 70 per cent lower nitrogen oxide compared with conventional diesel-burning locomotives. 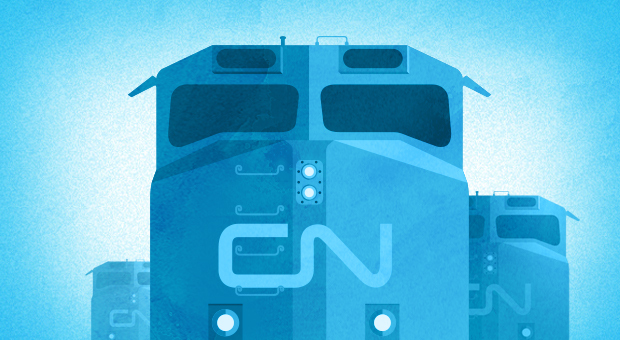 In addition, the move to liquid natural gas will equate to a reduction in fuel costs for CN. Randy Meyer, an executive with energy transportation company, Altex Energy Ltd. commented that if CN can make it work they, “will revolutionize the cost of rail, and actually create a significant new market for natural gas.” In fact, U.S. railway companies like BNSF, Union Pacific Corp and Norfolk Southern are already looking into natural-gas locomotives. Seems like the rail industry is coming on board for clean, affordable and reliable energy. So grows the list of industries exploring the use of natural gas as an energy of the future. In addition to being gentle on the environment, the price of natural gas is predicted to remain low for years to come due to abundant North American supply. And that’s an attractive prospect to companies with expensive fuel costs. What other modes of transportation should make the “switch” to clean and affordable natural gas over conventional fuels? Let us know what you think in the comments below. As our Prime Minister travelled to South America for a trade conference in late May, he brought a significant bargaining chip with him to the negotiating table. Our natural gas reserves are of particular interest to the new Pacific Alliance formed by Chile, Colombia, Mexico and Peru. Our Pacific coast will soon be ready to export this much needed and abundant resource to them. Along with Canada, these countries (though with their share of economic challenges) remained largely unscathed by the global economic downturn of 2008. Chile’s economy, for example, is growing dramatically by almost six per cent a year (as compared to our two per cent). 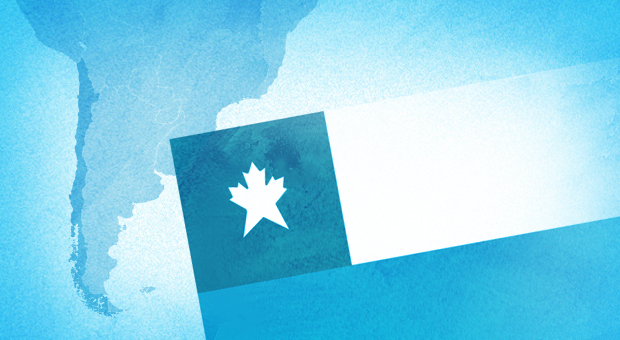 In fact, Canada happens to represent thethird-largest foreign investor in Chilean business, and trade between our countries has quadrupled since our free trade agreement with them began in 1997. Chilean President Sebastian Pinera is looking to Canada’s liquid natural gas to bolster his development agenda – to make Chile the first truly developed South American country. “We will need to import a lot of energy” And even if they manage to develop renewable solar, wave, and geothermal energy sources “we will still need natural gas,” Mr. Pinera added. As our country ponders its future and its own significant energy needs (supplying one-third of Ontario’s energy use alone) it’s comforting to know we have a wealth of clean, affordable and reliable energy. From shaping our own domestic energy policies, to benefiting our economy, to shaping the future of our foreign relations and trade, natural gas is the fulcrum of many important discussions. And all of them have the opportunity to benefit Canadians from coast to coast. What are your views on how natural gas is contributing to Canada’s economic potential? Please leave your thoughts in the comments below. Over the past several months, a lot of attention has been focused on natural gas emerging as a significant new transportation fuel. We’ve heard news about the trucking industry’s focus on converting their fleets to liquid natural gas (LNG), city bus systems beginning to make the switch, the automotive industry looking at LNG’s benefits, and hockey rinks all over Ontario making the conversion for their Zambonis. The fact that natural gas is abundant is one good reason for industries to take interest, but what is really raising eyebrows is how affordable and how much cleaner natural gas is as compared to other transport fuels. That’s why it’s no surprise to us that railway and marine transportation could be the next groups to adopt natural gas. Earlier in the year, BNSF Railway announced that it will be testing the use of liquid natural gas as a substitute for diesel fuel in its locomotives, with the goal of realizing a potential reduction in both fuel costs and emissions. What do you think of LNG being used as a transport fuel? Share your thoughts in the comments below.